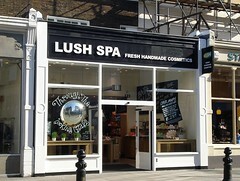 Lovely shop on the King's Road in Chelsea/Brompton selling bath stuff, etc. Opening times confirmed by telephone, 25 May 2007. Last edited 2009-05-03 01:55:42 (version 3; diff). List all versions. Page last edited 2009-05-03 01:55:42 (version 3).